To get the Florida black bear added to the federal list of endangered or threatened species, conservation groups and an animal welfare group are suing. About 3,000 live in the state and southern Alabama and Georgia, and Florida classifies the bear as threatened. Once numbered about 12,000 and roamed throughout the Southeast, the Florida bear is a subspecies of the American black bear. Concluding the species was losing habitat but could survive if public lands were appropriately managed, the U.S. 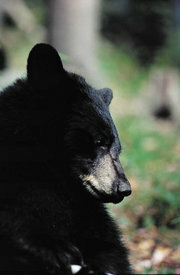 Fish and Wildlife Service last considered the status of the Florida black bear in 2004. “(A black bear) needs a lot of space and the way development is going in South Florida, the room it needs is being lost, degraded and fragmented,” said Laurie Macdonald, Florida director for Defenders of Wildlife, one of the groups that filed the lawsuit Thursday. Cancerous Dye Used For Coloring Food!